Deborah Asnis ’77, ’81 MD, Hewlett, N.Y., Sept. 12, at age 59. During the summer of 1999, Dr. Asnis, chief of infectious disease at Flushing Hospital Medical Center, had two patients with abnormal symptoms that did not respond to treatment. She quickly discovered commonalities between the patients — they all came from the same part of Queens and enjoyed spending time outdoors in the evening. Though it was first misdiagnosed, Dr. Asnis had discovered the first outbreak of West Nile virus in the Western Hemisphere and quickly sounded the alarm. Thanks to her action, public health officials took aggressive precautions to slow the spread of the mosquito-borne virus. 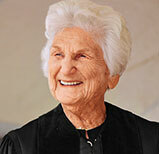 In 2007 she was inducted into the New York City Hall of Fame for Health and Science. A prolific clinical researcher, Dr. Asnis specialized in the study of HIV infection. She is survived by her husband, Hal Kazdin; sons Joshua and Matthew; her mother, Ruth; and a brother, Greg. Sanford I. Berman ’58 PhD, Las Vegas, June 16, at age 90. 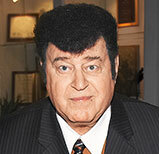 A nightclub entertainer in San Diego and Las Vegas for more than four decades, Mr. Berman — better known as Dr. Michael Dean — moonlighted as a flamboyant hypnotist with a sky-high black pompadour. On the stage he found fame — Mr. Berman once hypnotized boxer Ken Norton — and fortune, which he invested in real estate. But he was also a serious scholar who firmly believed in the power of persuasion. Mr. Berman wrote several books on language and endowed an institute for the study of effective communication at San Diego State University. He got his start in general semantics, a philosophical approach to language, when he taught at Northwestern with professor Irving J. Lee ’35, ’38 MA/MS. Mr. Berman is survived by his wife, Sandra; a daughter, Michelle; and three grandchildren. Stanton R. Cook ’49, ’85 H, Kenilworth, Ill., Sept. 3, at age 90. When Mr. Cook took over as chief executive of Tribune Co. in 1974, it was known as a conservative, family-run enterprise. But during his 16 years at the helm, Mr. Cook transformed the company into a publicly traded media conglomerate. Mr. Cook, who studied mechanical engineering at Northwestern, climbed the ranks from the Chicago Tribune production department to become the paper’s publisher and later CEO of the parent company. Under Mr. Cook’s leadership, the Tribune Co. became the largest operator of independent television stations when it secured KTLA in Los Angeles in 1985. He also oversaw the company’s 1981 acquisition of the Chicago Cubs and Wrigley Field. An avid baseball fan, he was chairman of the Chicago Cubs until 1994. He stepped down as CEO of the Tribune Co. in 1990. Mr. Cook also served Northwestern throughout his life. He was elected to the Board of Trustees in 1987 and later became a life trustee. 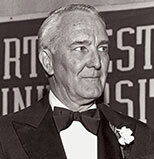 In 1989 he helped secure a $30 million pledge, one of the largest made to Northwestern at the time, from the Robert R. McCormick Charitable Trust, which resulted in the renaming of the school of engineering. He also endowed the Wilson-Cook Chair in Engineering Design at the McCormick School of Engineering and Applied Science. In early 2015 the Cook family made a significant gift to the Weinberg College of Arts and Sciences’ Writing Program, which was renamed the Bobbie and Stanton Cook Family Writing Program. Mr. Cook received the Northwestern Alumni Association’s Alumni Medal in 1987. He is survived by daughters Sarah Cook Shumway ’87 MMGT and Nancy; sons Scott, David and Douglas ’98 MMGT; and seven grandchildren. Russell R. Dohner ’53 MD, Rushville, Ill., Aug. 7, at age 90. A beloved doctor in the western Illinois town of Rushville, Dr. Dohner tended to everyone who came through his office door for six decades. He saw patients seven days a week on a first-come, first-served basis, charging just $5 per visit. He made house calls and took special care of the uninsured and unemployed. After attending the Feinberg School of Medicine, Dr. Dohner had planned to become a big-city cardiologist but moved to Rushville for what was supposed to be a short stint in small-town medicine. He never left. There is a life-size bronze statue of Dr. Dohner, who retired in 2013, in the town square. 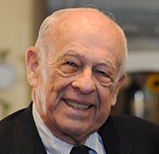 Herbert M. Hart ’51, Frederick, Md., Aug. 3, at age 86. 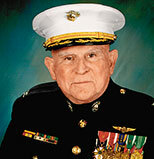 A soldier and public servant, Mr. Hart retired as a U.S. Marine Corps colonel after 31 years of active duty. Upon graduating from Northwestern’s Naval Reserve Officers’ Training Corps, he served in Korea, where he was wounded twice, as well as in the Middle East and Vietnam. A journalism graduate and two-time editor-in-chief of the Daily Northwestern, Mr. Hart became director of public affairs for the U.S. Marine Corps and one of the nation’s leading authorities on historic American forts. He wrote several books on the topic. Mr. Hart also helped found the Council on America’s Military Past, a military history–historic preservation organization that he led as executive director for 40 years. He is survived by seven children and nine grandchildren. Helen Froelich Holt ’34, ’38 MS, Boca Raton, Fla., July 12, at age 101. A staunch advocate for the needs of the elderly in the pre-Medicare era, Mrs. Holt led the federal government’s effort to build and regulate long-term care facilities for senior citizens. She was appointed in 1959 by President Dwight Eisenhower to oversee a Federal Housing Administration program that gave mortgages to nursing homes meeting new, higher standards. 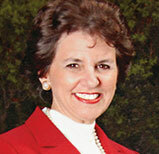 Under her watch, the program established about 1,000 new nursing homes with more than 100,000 beds. She was so successful that she was reappointed to posts in the Department of Housing and Urban Development by six subsequent presidents. Hoping to build homes that met residents’ personal needs, she encouraged developers and architects to get to know residents in the facilities they built. Mrs. Holt also pioneered the creation of assisted-living facilities. Mrs. Holt graduated with bachelor’s and master’s degrees in zoology from Northwestern and was teaching biology at National Park College in Maryland when her students submitted her photo to Life magazine for an article about teachers. Rush D. Holt, then a young U.S. senator from West Virginia, noticed the photo. His sister, a member of the same sorority, arranged for them to meet. Mr. and Mrs. Holt were married in 1941. 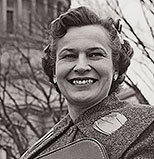 Mrs. Holt entered public service when she was appointed to her husband’s seat in the West Virginia House of Delegates after his death in 1955. She was defeated in her bid to win the office in the general election but was later appointed West Virginia’s secretary of state (1957–59), becoming the first woman to hold a statewide office. She is survived by her son, former New Jersey Rep. Rush D. Holt Jr.; David Chase, a nephew whom she raised; a grandson; and several great-grandchildren. Dieter Koch-Weser ’51 MS, ’65 PhD, North Andover, Mass., July 19, at age 99. Dr. Koch-Weser grew up in Brazil after his family fled Hitler’s Germany in the 1930s and started a coffee plantation in Rolândia, in southern Brazil. After attending medical school in São Paulo, Dr. Koch-Weser earned his master’s and doctorate degrees in pathology at Northwestern. As an assistant professor at the University of Chicago, he specialized in tuberculosis and immunology. He moved on to Case-Western Reserve University, where he led the Institute for Alcoholism Research. In the early 1960s he returned to Brazil as director of the Latin American division of the U.S. National Institutes of Health in Rio de Janeiro. When he returned to the United States he joined the faculty of Harvard Medical School as a professor of tropical public health and later became chair of the preventative and social medicine and associate dean for international affairs. He became an advocate for access to medical care in impoverished communities. With a particular focus on the AIDS epidemic in Africa, Dr. Koch-Weser consulted for several organizations, including the World Health Organization, UNICEF and the World Bank. He celebrated his 99th birthday with family, friends and former colleagues just a week before his death. Dr. Koch-Weser is survived by a brother, Jan; two daughters, Carol-Ann and Suzanne; and six grandchildren. Joan Miller Lipsky ’40, Des Moines, Aug. 18, at age 96. A pioneering woman in Iowa politics, Mrs. Lipsky served six terms in the state General Assembly, focusing her efforts as a state representative on improving women’s legal, economic and social equality. She campaigned for passage of the Equal Rights Amendment and supported educational and occupational programs for women. A clinical psychologist, she also fought for mental health and special education programs and championed the 1969 Iowa Tuition Grant legislation. Before her election to the General Assembly in 1966, she chaired mayoral commissions in her hometown, Cedar Rapids, where was named Woman of the Year in 1979. Mrs. Lipsky is survived by her children, Ann, John and Tad; and seven grandchildren. Lyman Porter ’52, Newport Beach, Calif., July 2, at age 85. A pioneer in the field of organizational behavioral psychology, Mr. Porter dedicated much of his life to understanding how and why organizations work the way they do. A native of West Lafayette, Ind., Mr. Porter majored in psychology at Northwestern before earning a doctorate from Yale. He then joined the faculty at the University of California, Berkeley, where he taught industrial psychology and studied employee-employer relationships and motivation and success. 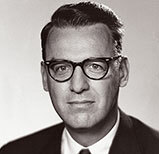 Mr. Porter moved to the University of California, Irvine, in 1967 and headed the Graduate School of Management (now the Paul Merage School of Business) as dean from 1972 to 1983. As dean, he created the MBA program and made organizational behavior a staple of graduate business education. Mr. Porter, who wrote several of the preeminent texts on organizational behavior and became professor emeritus in 1992, received numerous awards for his work, including a lifetime achievement award from the Academy of Management’s Organizational Behavior Division in 2006. He received a Northwestern Alumni Association Merit Award in 1994. Mr. Porter is survived by his wife, Meredith; a daughter, Anne; a son, William; and four grandchildren. Norman Runnion ’51, Brookfield, Vt., June 19, at age 85. A self-described newspaperman to the end, Mr. Runnion’s reporting and writing career spanned nearly seven decades. The son of a journalist, Mr. Runnion earned his first bylines at the legendary City News Bureau of Chicago, working 80-hour weeks for $25 a week. He went on to join United Press International, reporting from UPI’s bureaus in New York City, London, Paris and Washington, D.C. He covered everything from the Cuban missile crisis to Martin Luther King Jr.’s march on Washington, D.C. As UPI’s Washington night news editor in 1963, he contributed to the news agency’s Pulitzer Prize–winning coverage of the assassination of John F. Kennedy. He also wrote UPI’s main story on the Warren Commission report on the assassination. He moved to Vermont in 1966, and after a stint as in public relations at Windham College, he spent 18 years as managing editor of the Battleboro Reformer. 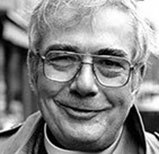 In 1989 Mr. Runnion enrolled at Virginia Theological Seminary, and four years later he became an Episcopal priest. But he retired in 2001 and returned reporting and writing for the Herald of Randolph. In 1994 he received the Yankee Quill Award from the New England Newspaper and Press Association. Mr. Runnion, the author of Gemini: America’s Historic Walk in Space and Up the Ivy Ladder, was elected a fellow of the Vermont Academy of Arts and Sciences in 1997. Mr. Runnion is survived by his wife, Linda; a son David; and three stepchildren. Arthur R. Seder Jr. ’46, ’47 JD, Williamsburg, Va., July 14, at age 95. 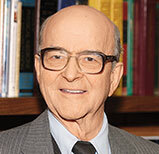 As a student at the School of Law, Mr. Seder co-edited the Northwestern Law Review with future Supreme Court Justice John Paul Stevens ’47, ’77 H.
After graduating, Mr. Seder worked as a law clerk to U.S. Supreme Court Chief Justice Fred M. Vinson. In 1960 he joined American Natural Gas Co., later the American Natural Resources Co., as general counsel. He later headed the Detroit-based company as president, chairman and CEO until his retirement in 1985. He also held a number of civic positions in Detroit and was awarded a key to the city by the Detroit City Council. 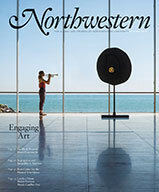 A Northwestern life trustee, Mr. Seder is survived by his wife, Marion; daughters Susan and Elizabeth; six grandchildren; and six great-grandchildren.